Successfully saved Zucchini Chocolate Chunk Muffins with Ginger to your Calendar. You can also save the ingredients to your Grocery List. Successfully saved Ingredients to your Shopping List. You can also save the recipe to our Meal Planning Calendar. 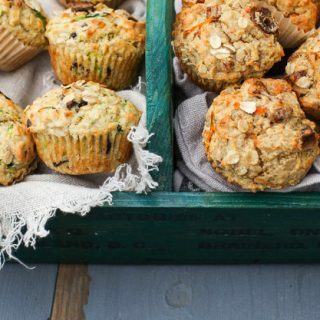 A summer edition of our favourite muffin. Perfect for when zucchini is prolific and muffins are essential for picnic fare. to save all of your favorite online recipes!